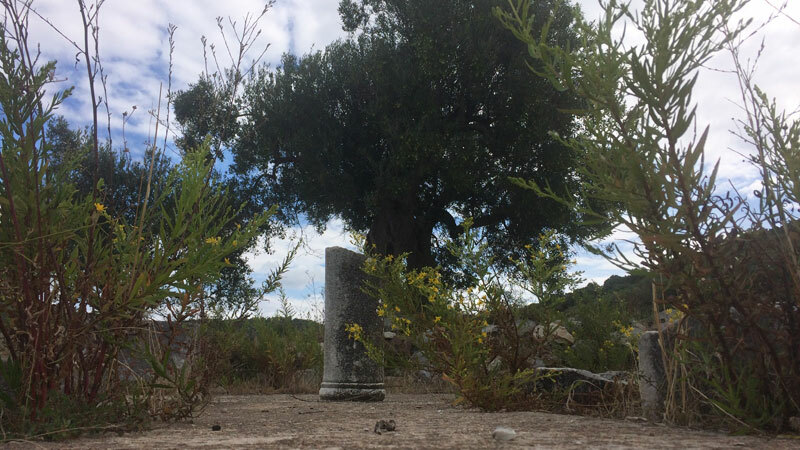 Lekythos castle is the only visable reminder of Toroni’s Christian past but on the outskirts of Toroni in an abandoned field covered with grass is a forgotten but important part of Toroni’s history. The 6th century Basilica – Agios Athanasios. Toroni can easily claim to have the richest history of Sithonia. 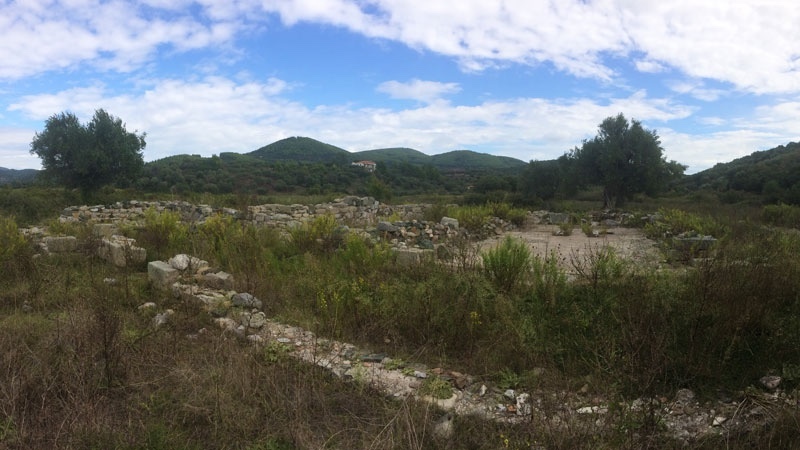 The ruins of Lekythos overlooking the Toroni harbor today are the remains of a Byzantine castle that was built from the stones of the acropolis. As part of the Eastern Roman empire, Christian Byzantium made a push to build churches and Basilicas across its territory from the 5th century AD. 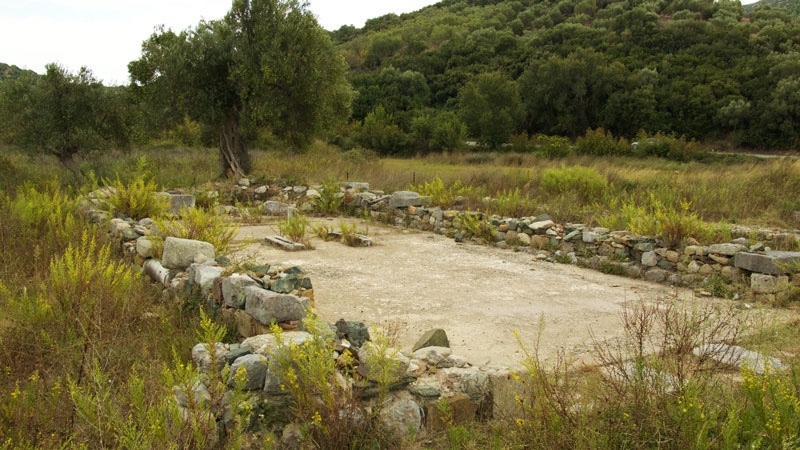 Dated from the middle or second half of the 6th century, Agios Athanasios Basilica was built on a low mound that elevated it above the marshy floodplain. Beyond the foundation stones that are visable today, it’s believed that this floodplain was once the ancient port of Torone and had been filled in by hillside erosion. When it was built in the 6th century AD, the Basilica was no doubt built on the shore line that existed from about 500 AD since it had been pushed back from centuries of silting in the port. The naming of the Basilica – Saint Athanasios (defender of the faith) is also of interest since a harbour Basilica would normaly be named after Saint Nicholas (patron saint of seafarers). The naming of St. Athanasius is an indication that Toroni was no longer know for its harbor as it once had been. 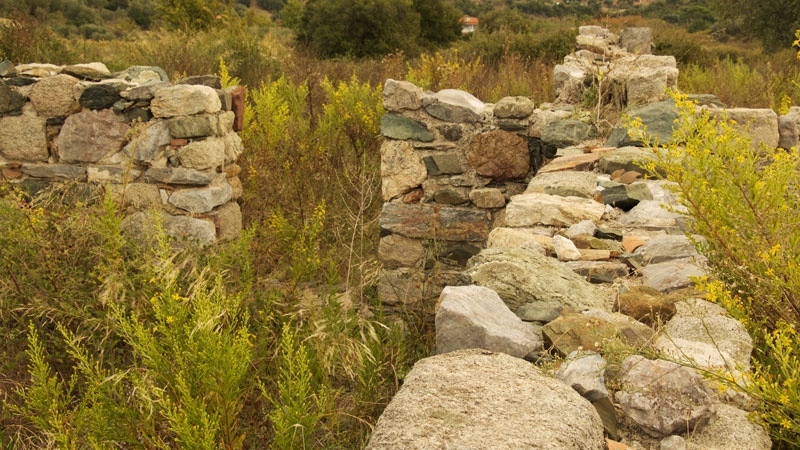 To get to these ruins, travel the road from Lekythos castle and turn right and over the bridge on the road from Toroni to Porto Koufo. Stop after the bridge and you will see some stones in the field on your left.